Tesla Motors may be getting ready to officially sign a battery supply deal with Samsung SDI, according to a Reuters report. In August the companies were reported to be testing Samsung's cells in Tesla's vehicles, and now the companies are reportedly close to a deal. Tesla Motors badly needs to increase battery cell supply in order to ramp up production of the Model S, and the companies other electric cars due in the next few years. According to Reuters, the companies confirmed on Friday that they're in talks. Because talks are not finalized, the companies did not give any details. Tesla's management has repeatedly said they're constantly talking with battery cell suppliers to evaluate technology from a range of lithium-ion cell manufacturers. The company currently uses 18650 format cells, that are said to be Automotive Quality, manufactured by Panasonic. Reuters cites unnamed sources close to Samsung who claim talks are 90% complete. However, Samsung is demanding that Tesla source some other components from Samsung, such as the 17" LCD display. Other unnamed sources cited in the Reuters report claim talks are no-where near complete, and that Samsung's pricing is not competitive with pricing from Panasonic. The revealing of what amounts to a leak may be associated with the Tesla Model S that caught fire last week. The price for Samsung SDI stock fell by 3.7% last week on the news of the fire. According to a Samsung SDI spokesperson, the company already supplies cells to other automakers, and for example make up the BMW i3 battery pack. 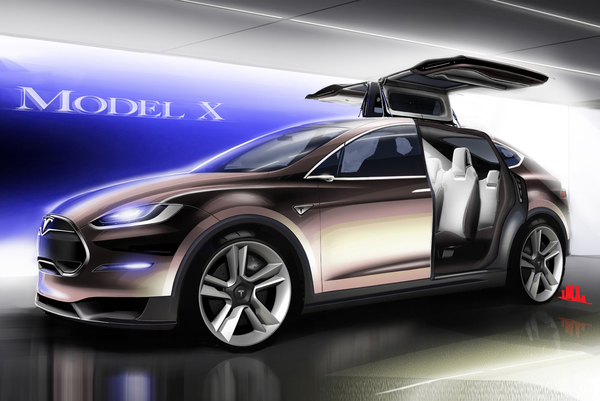 If Tesla and Samsung sign a deal, the first Tesla car with Samsung battery cells will be the Tesla Model X. Tesla is due to begin deliveries of that car at the end of 2014. Tesla's manufacturing plans are to be selling 40,000 Model S's a year by the end of 2014, then add production of 20,000 Model X's a year in 2015, and by 2017 to start manufacturing their 3rd generation affordable electric car in quantities nearing 200,000 a year. As we noted last month, those plans require the battery industry to drastically increase 18650 cell production. Additionally, Tesla is carrying a risk by having a sole supplier, Panasonic, for battery cells. What if Japan undergoes another event like the Tsunami that damaged the country's electrical supply? By adding Samsung as a battery supplier, Tesla can spread the risk and spread the demand on manufacturing capacity.